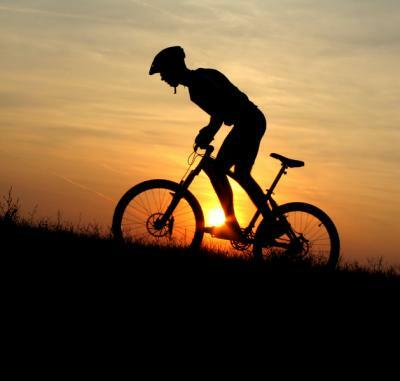 Bike riding strengthens your thighs, hips and rear end. If your route includes climbing hills, your arms and upper body will benefit as you stand to pedal. What's more, cycling is gentle on your joints and helps preserve cartilage. Find someone to go biking with; it's so much fun! If you don't have a bike, borrow one or search for rental bikes in your area. Once you have your bike and helmet, go enjoy some great exercise! Post a photo of your biking experience on the Today's Challenge wall to complete this challenge!